Water is one of the best things for your body – when you stay hydrated, you can focus better, boost your immune system, improve your skin, sleep better, promote cardiovascular health, cleanse your body, and more. Unfortunately, water may contain contaminants that can be dangerous. Even if your water looks, smells, and tastes fine, it can contain up to 80 different contaminants (many of them undetectable). That is why we recommend water treatment systems from Timothy Off. At Timothy Off, we offer commercial and residential water treatment systems that can filter your water and make it safe for everyone to drink. 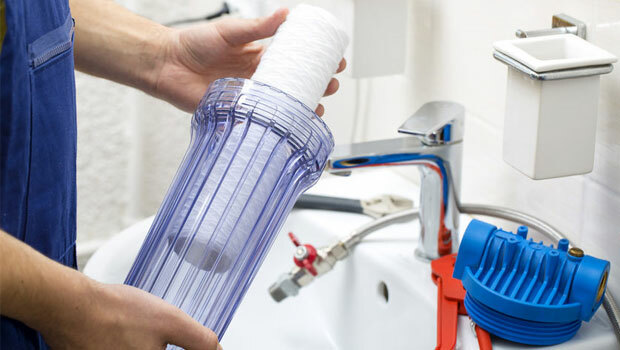 Today, there are several ways to treat your water and our plumbing experts can help you choose the best one for your home. Once we’ve decided on a system, we can have it installed quickly and professionally so you can enjoy your drinking water without the worry of health threats. For the best in commercial and residential plumbing, contact the professionals at Timothy Off. We have over 100 years of combined experience and work with only the best products and materials.